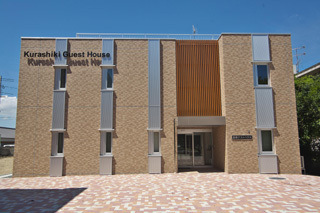 Kurashiki Guest House is a facility　exclusively for scholars visiting IPSR. 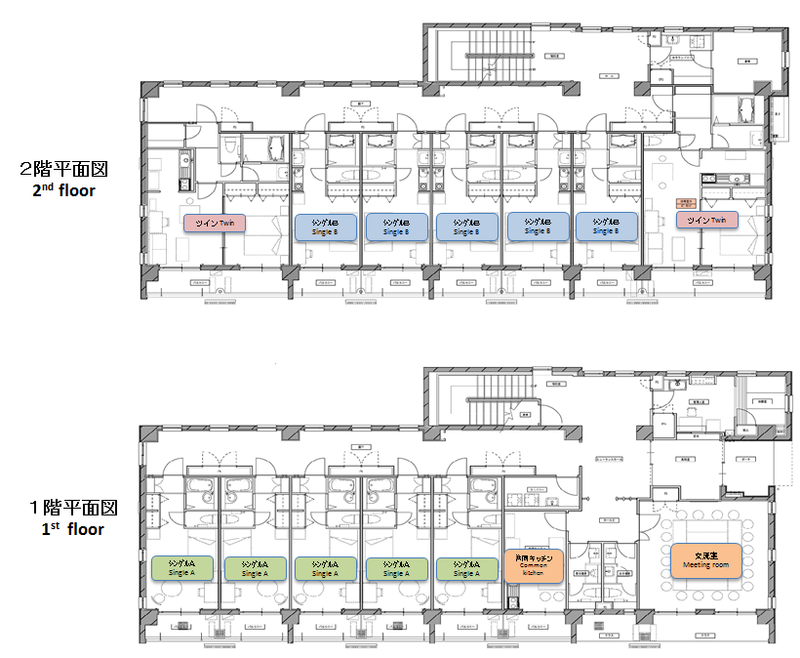 Please request your IPSR collaborator to book the rooms. ■ Only for exchange student and visiting foreign researcher. 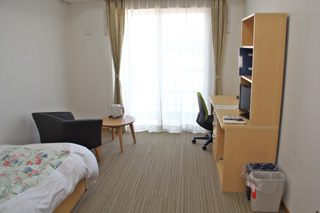 ■ The period of stay is from 2 weeks (13 nights and 14 days) to 1 (one) year. 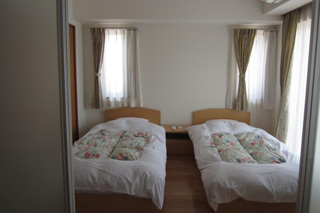 Each room is equipped with TV, Wi-Fi, electric kettle, and hair drier. 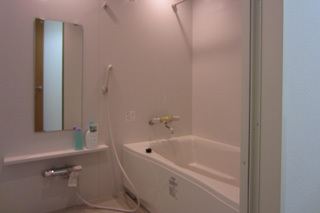 Amenities such as shampoo, conditioner, body soap and towel are provided. 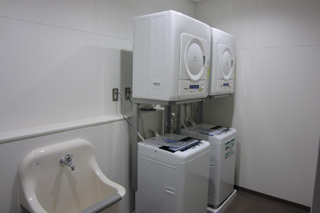 Washing machines/driers are also available in common laundry room. 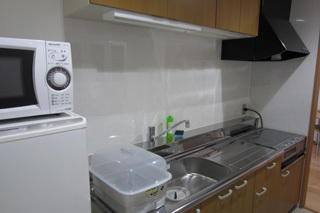 Common kitchen and dining room is also available. *We do not provide tooth brush, and nightwear. 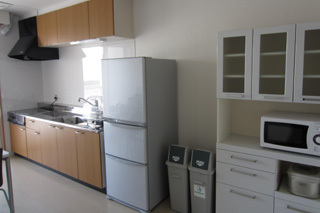 ■ Meals are not provided in the guest house. ■ Smoking is prohibited in the entire building. ■ Maximum permitted stay is six consecutive nights, but if you have any special reasons to stay longer, please contact us. 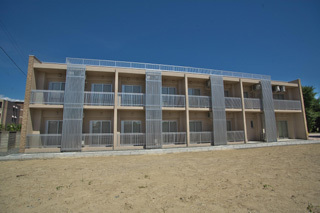 ■ The reservation should be cancelled by the noon of the check-in date. In case the day　is during weekend or on holiday, please notify us by a day before the check-in date. 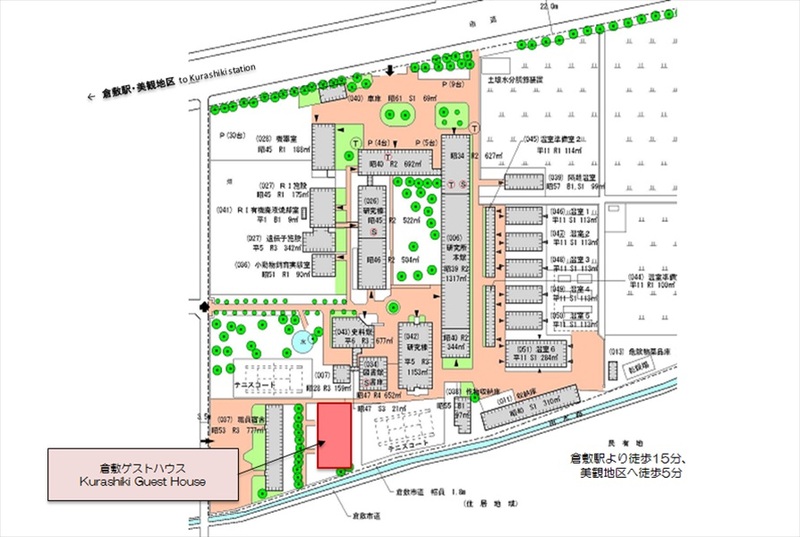 ■ Please, follow “the Kurashiki guesthouse user manual” at time of use.